- Pursuant to the Directive No. 1568/CT-TTg dated 19 August 2010 of the Prime Minister on the implementation of the Conclusion No. 78-KL/TW dated 26 July 2010 of the Politic Bureau. 1. This Circular provides for the foreign exchange control with regard to the performance of foreign borrowing by enterprises by issuing international bonds not guaranteed by the Government to international financial markets. 2. Subjects of application of this Circular shall be organizations, individuals relating to the issuance of international bonds not guaranteed by the Government to international financial markets. 1. An authorized credit institution shall mean a credit institutions, foreign bank’s branch in Vietnam which is authorized to engage in foreign exchange activities and supply foreign exchange services in accordance with provisions of laws of Vietnam. 2. A State-owned commercial bank shall mean a commercial bank that is established and operate under the Law on Credit Institutions, of which over 50% of the charter capital is owned by the State. 3. Issuance shall mean a medium, long term foreign borrowing in the form of issuance of international bonds of enterprises that are not guaranteed by the Government. 4. Issuance limit confirmation shall mean a document issued by the State Bank that confirms the value of the international bonds issued by the enterprise, which is within the total limit of commercial borrowing from a foreign country and is annually approved by the Prime Minister. 5. Registration of issuance shall mean the case where the enterprise registers with the State Bank on the foreign borrowing in the form of issuance of international bonds. 6. Confirmation of issuance registration shall mean a document issued by the State Bank confirming that the enterprise has already registered for the issuance in line with provisions of this Circular. 7. Confirmation of registration for issuance change shall mean a document issued by the State Bank confirming that the enterprise has already registered for the issuance change where there is a change in the contents already confirmed by the State Bank in the Confirmation of issuance registration. 8. Account of foreign loan and repayment shall mean a foreign currency account that is opened by the enterprise at one (01) authorized credit institution in Vietnam for performing the foreign borrowing through the form of issuance of international bonds. 9. Representative of the lender shall be the representative of the foreign bondholder as to obligations, rights and responsibilities for implementation of contents relating to bonds issued by the enterprise. Depending on the structure of the issue, enterprises shall define the representative of the lender (if any) and register with the State Bank in the issuance register. 1. To comply with provisions on issuance conditions, to prepare a plan on the issuance and submit to competent levels for issuance, to organize the issuance and to perform contents relating to the issuance of bonds in accordance with provisions of the Government on issuance of international bonds. 2. To take responsibility for efficiently using the fund received from the issue for the right purpose as stated in the approved plan on international bond issuance in conformity with provisions of applicable laws. Enterprises shall be responsible for complying with provisions of laws on securities, foreign exchange control, other provisions of applicable laws and conforming with international laws in the issuance of international bonds. 3. To open and use 01 account of foreign borrowing and repayment at 01 authorized credit institution for performing the foreign borrowing in the form of international bonds issuance. Enterprises shall only be permitted to use the fund received from the issuance of international bonds for purposes as approved in the issuance plan after the State Bank has confirmed the registration. 4. In case of converting bonds into stocks, enterprises shall observe current provisions of laws on convertible bonds; ensuring the regulations on the holding rate of the foreign investors, regulations on reporting, information announcement and other provisions of applicable laws; drawing up a table and calculating the amount to be paid to bondholders after the conversion; undertaking on the accuracy as against the profile of issue registration that has been confirmed by the State Bank and applicable provisions on the conversion of bonds into stocks for the credit institution to be informed and to have a basis for transferring money for bond payment. Enterprises shall be entitled to buy foreign currency at the authorized credit institution for payment of the principal, interest debt of the bonds and charges relating to the issue on the basis of presenting documents proving the demand for payment in accordance with provisions of the authorized credit institution in conformity with current provisions of laws on foreign exchange control. The Plan on issuance of international bonds of a State-owned commercial bank shall be approved by the State Bank. Profile, procedures of requesting the State Bank for approval to the plan on issuance of international bonds of the State-owned commercial bank shall be implemented in accordance with instructions of the State Bank on foreign medium, long term borrowing of State-owned commercial banks. 1. An enterprise that is a state-owned economic group, corporation shall be required to obtain consent of the Ministry in charge before applying for confirmation of international bond issuance limit. 2. A State-owned commercial bank shall be required to obtain approval of the State Bank for the plan on international bond issuance before applying for confirmation of international bond issuance limit. 3. Enterprises that are not subjects mentioned in Paragraph 1, Paragraph 2 of this Article shall apply for confirmation of international bond issuance limit after the plan on issuance of international bonds is approved by the General Shareholders’ Meeting, Board of Directors, Board of Members or owner of the enterprises in accordance with provisions of applicable laws. b. Report on the compliance with current provisions on prudential ratios in activities of the credit institution at the time of applying for confirmation. h. Report on the compliance with current provisions on prudential ratios in activities of the credit institution at the time of applying for confirmation (applicable to an enterprise that is a credit institution). The enterprise shall, directly or via post service, submit 01 application file to the State Bank in accordance with provisions in Article 7 of this Circular. Within a maximum period of 15 working days since the receipt of a full and valid profile from the enterprise, the State Bank shall coordinate with the Ministry of Finance to proceed the confirmation of issuance limit for the enterprise that issues international bonds. In case of declining to confirm the issuance limit, the State Bank shall issue a document which specifies the reason of the decline. 1. A written request for registration of international bond issuance (in accordance with the Appendix 02 enclosed to this Circular). 2. A copy of the appraisement report of the Ministry of Finance on the international bond issuance plan of the enterprise (for a State-owned enterprise). 3. A certified copy of the written approval of the Prime Minister on the international bond issuance plan (for a State-owned enterprise). 5. A copy in foreign language and Vietnamese translation of contracts or other agreements (if any) that the enterprise concludes with the foreign party under which the enterprise is obliged to pay the charges relating to the issue. 1. After selecting underwriting institutions, agents and legal consultants, the enterprise shall, directly or via post service, send 01 profile to the State Bank as provided for in Article 9 of this Circular for the issue registration. For documents as provided for in Paragraph 1, Paragraph 4 and Paragraph 5 in Article 9 hereof, enterprises shall send the final drafts with detailed conditions of the bonds. 2. Within a period of 10 working days since the receipt of the full application file of the enterprise as provided for in Paragraph 1 of this Article, if it is necessary to make clear, supplement or amend some relevant contents, the State Bank shall notify the enterprise for its completion of the application file for the issue. b. Copies in foreign language and Vietnamese translations (with confirmation of the enterprise) of documents as stipulated in Paragraph 4 and Paragraph 5 Article 9 of this Circular. a. Official contracts, agreements are consistent with the final drafts that were sent to the State Bank as provided for in Paragraph 1 Article 10 of this Circular. b. 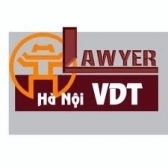 Official contracts, agreements have contents that are different from the final drafts sent to the State Bank as provided for in Paragraph 1 Article 10 of this Circular, but contents of these official contracts, agreements are not contrary to provisions of laws of Vietnam. In this case, the enterprise shall send an official letter specifying the related contents to the State Bank. 2. In the event where provisions in Paragraph 1 of this Article are not satisfied, within 02 working days since the receipt of the application file, the State Bank shall notify the enterprise for amendment of, supplement to the application file for the issue registration. The State Bank shall send a copy of the Confirmation of issue registration of the enterprise to the Ministry of Finance for coordination in monitoring and controlling the borrowing and debt repayment by the enterprise in the form of issuance of international bonds. Upon arising any change in contents as compared to those stated in the Confirmation of issue registration, the enterprise shall be responsible for registering that change with the State Bank within a period of 30 working days since the signing date of the changed contracts or agreements and before implementation of the changed contents. 3. Approval of the competent level to the plan on issuance of international bonds of the enterprise if the change contents have not been consented yet in the written approval of the competent level to the plan on issuance of international bonds of the enterprise. 1. The enterprise shall, directly or via post service, send 01 registration file to the State Bank in accordance with provisions in Article 14 of this Circular. Within a maximum period of 15 working days since the receipt of the full and valid registration file for change of issue, the State Bank shall provide a written opinion on approving or declining to confirm the registration for change of issue. In case of declining, a document specifying the reason shall be provided by the State Bank. 2. In the event where it is required to supplement with information for appropriately confirming or declining to confirm the registration for change of issue, the State Bank shall notify the enterprise for information within a period of 10 working days since the receipt of the file from the enterprise. 1. To open account of foreign loan and debt repayment for the enterprises that issue international bonds. 2. To receive proceeds from the sale of bonds; to transfer the money of payment for bond issuance fee and transfer the payment for principal, interest of bonds of the enterprise based on the written confirmation of the State Bank as to the registration, registration for change of issue (if any), agreements or contracts concluded by the enterprise with parties involving in the issuance of the international bonds, which are presented by the enterprise. 3. To review, compare related documents, ensuring the due performance of transactions of the issue which has been registered or registered for change with the State Bank and in conformity with provisions of applicable laws. 4. To list arising transactions of withdrawal, debt repayment and balance of the loan in form of issuing international bonds of the enterprise, to report the State Bank in accordance with provisions of this Circular. 5. To guide the enterprises to implement current provisions on foreign borrowing, debt repayment, foreign exchange control as to foreign borrowing in the form of issuing international bonds, timely reporting the State Bank upon detecting any signal of breaking the current provisions of applicable laws. 1. Immediately after finishing the issue and receiving proceeds from the sale of bonds, the enterprise shall report the agency that is competent to approve the issue, the State Bank, State Bank’s branch in province, city where its head office is located and the Ministry of Finance on the result of the issue. a. For a quarterly report: on the 10th of the first month in the following quarter at the latest. b. For an annual report: on the 31st of January of the following year. 3. In an unexpected case, the enterprise that issues international bonds shall report as requested by the State Bank. a. For a monthly report: on the 10th of the following month at the latest. 2. In an unexpected case, the authorized credit institution shall report as requested by the State Bank. 1. Upon necessity, the State Bank and concerned agencies shall perform the inspection on the performance of the loan in the form of issuing international bonds by the enterprise, the opening and performance of account of foreign loan and debt repayment by the authorized credit institution in accordance with provisions of this Circular. The inspected enterprises, authorized credit institutions shall be responsible for supplying necessary documents, materials for the inspection to be timely and efficiently performed. 2. For any act of violation of provisions of this Circular, upon the seriousness of the violation, the enterprise, authorized credit institution shall be punished in accordance with current provisions of laws on punishment with administrative measures in monetary sector and banking activities. 1. This Circular shall come into effect from 15 October 2011. 2. Issues of international bonds of enterprises, which were confirmed for registration before the effectiveness of this Circular, shall continue to be implemented in line with the written confirmation of the State Bank for the registration. For transactions arising after the effective date of this Circular relating to the issue that was already confirmed by the State Bank, the enterprise shall implement in accordance with provisions of this Circular. 1. Director of Administrative Department, Director of the Banking Inspection and Supervision Department, Head of units of the State Bank, Managers of State Bank’s branches in provinces, cities under the central Government’s management, Chairman of Board of Directors, General Director (Director) of credit institutions shall, within the scope of their function, be responsible for organizing the implementation of this Circular. 2. Ministries, industries, management agencies shall, within the scope of their function, duty, coordinate and conduct the implementation of this Circular. Related enterprises, institutions shall be responsible for the implementation of this Circular. Based on the Plan on issuance of international bonds that has been approved by …. at the official letter No. … dated …. 5. Establishment Decision (or Investment License or Investment Certificate or Business Registration Certificate) No: … place of issue: …………….. date of issue: ……………. With contents of the Plan on issuance of international bonds, [Name of the issuing enterprise] would like to kindly request the State Bank to consider and confirm the issuance value of the international bonds of [Name of the issuing enterprise], which is within the total limit of foreign commercial borrowing of the country. [Name of the issuing enterprise] undertakes to comply with provisions of applicable laws in performing the foreign borrowing in the form of issuance of international bonds. Registration Certificate) No: … place of issue: …………….. date of issue: ……………. (For each item mentioned above, it is kindly requested to specify reference clause at related documents). 1. The hereunder signatory (competent representative of the enterprise) undertakes to take full responsibility for the accuracy of all information stated in this application for foreign loan and enclosed documents in the application file for foreign loan in the form of issuing international bonds of [Name of the issuing enterprise].